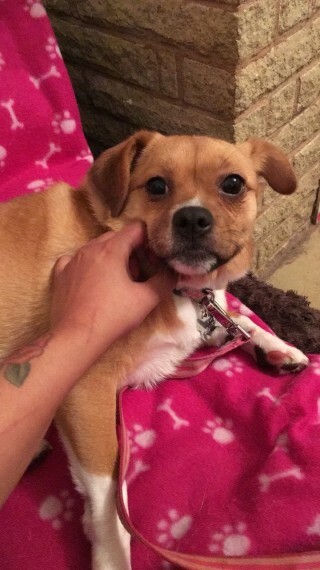 This beautiful little girl is Coco a 2yr old puggle x Pomeranian. Coco has been owner surrendered as she was finding it tough with the young children in the home. Coco is a lovely friendly girl and would ideally suit a quiet home with no children or older dog savvy kids. She good with other dogs. hasn. lived with a cat but isn. bothered by them on walks. loves people once she knows you. and her walks. She also vaccinated. chipped and neutered ready for adoption. Coco is in foster in Exeter to be assessed but will be available to adopt soon but if interested please apply via our website Dantesdream.org home check and adoption fee apply.